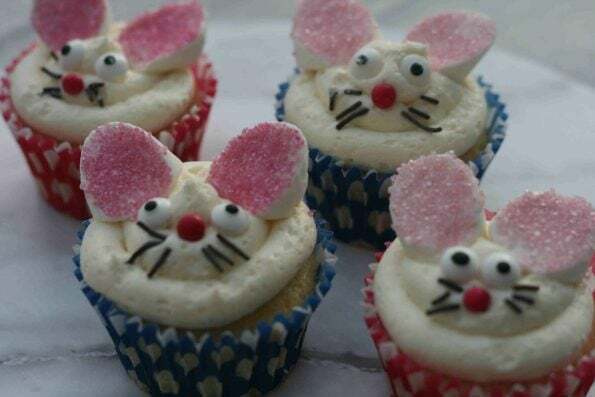 The kids love making cupcakes so I’ve been looking for new ways of making them a bit different. 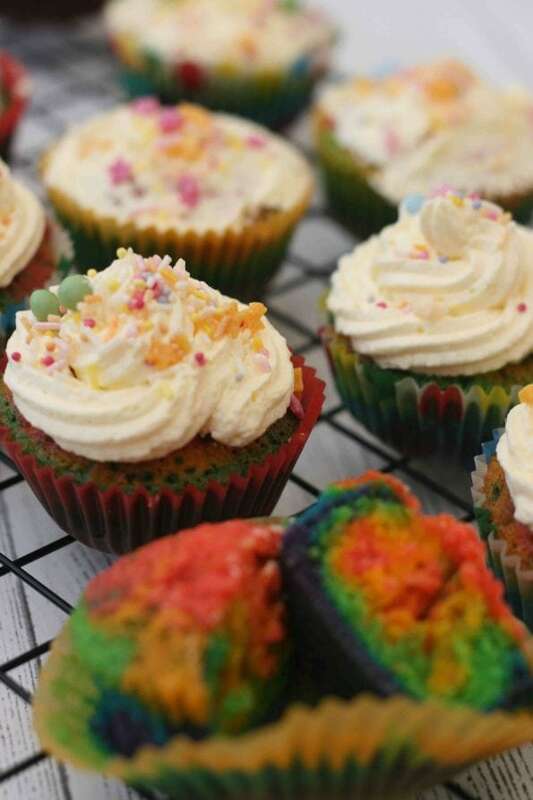 I saw some fun rainbow cupcakes on pintrest and thought the kids would enjoy them (or just make a colourful mess of the kitchen!) 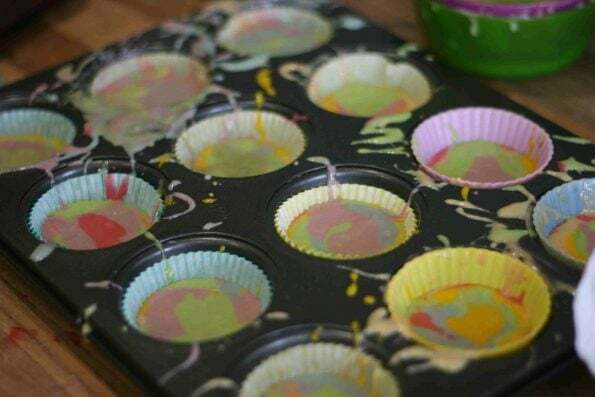 They were easier than I thought to make – just find your favourite cupcake recipe, and add some colour before you put them into the cupcake cases. We used all the colours in the rainbow but you could use just a few and they would still look good. 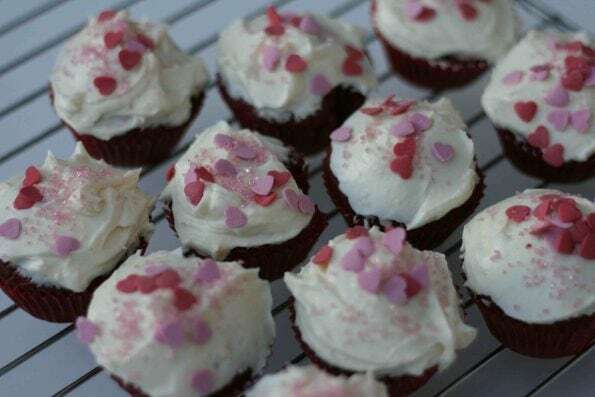 We made these a while ago but didn’t have good quality food colouring so they faded a bit when we baked them. This time, we used our gel colours (these Wilton ones). 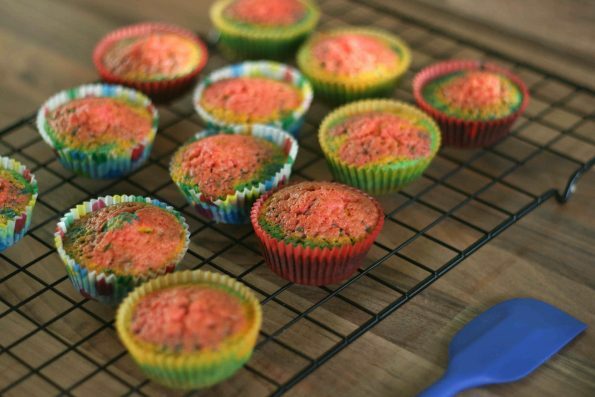 They’re bake safe, so the colourful rainbow is still there after they’re baked. 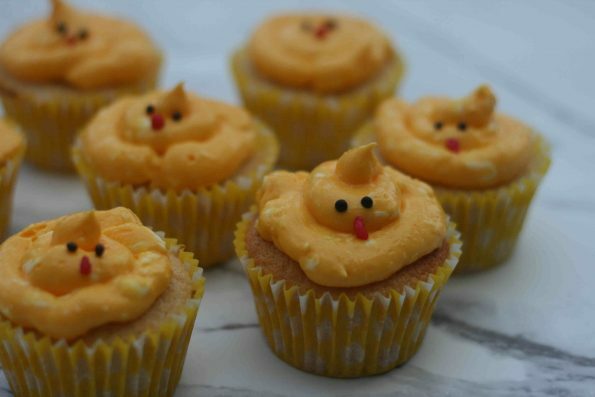 Get your little ones to fill a muffin tray with paper cupcake cases. 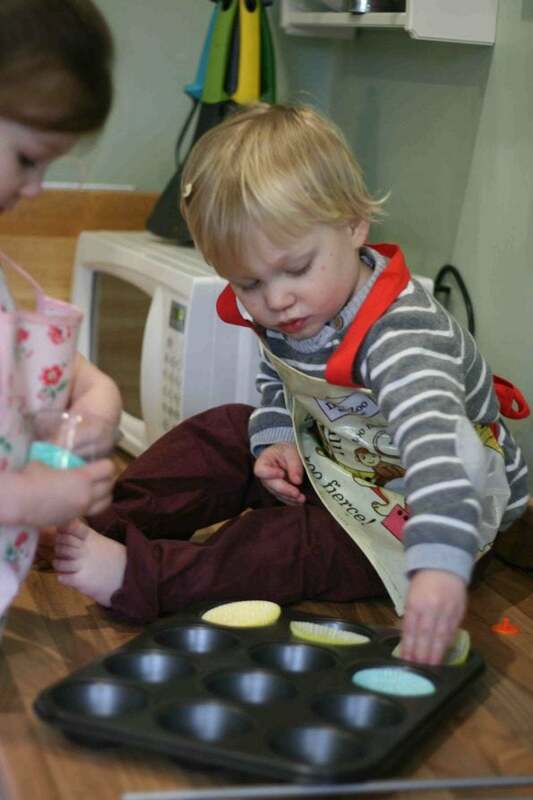 Get your child to measure the flour (120g) into a small bowl then add it into a mixing bowl or freestanding mixer. 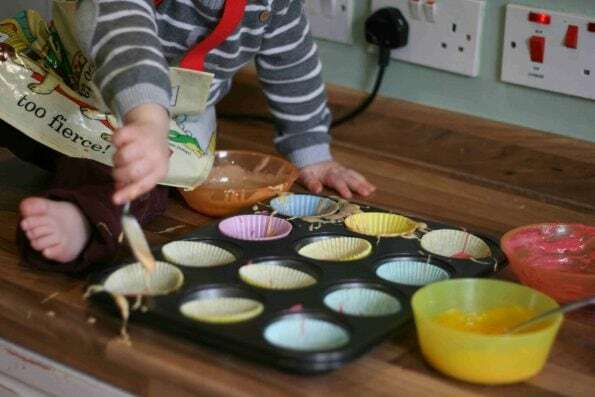 If they are able to, get your little one to spoon the baking powder (1.5 tsp) into the mixing bowl. 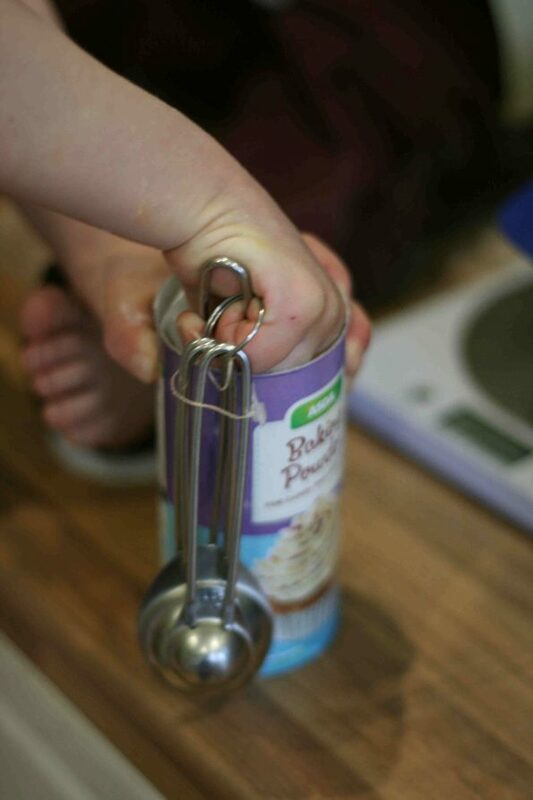 If they don’t have a steady enough hand yet, let them help you level it off before adding it in. Add the pinch of salt. Add the butter (40g) to the mixing bowl. Your wee one can help measure this out. 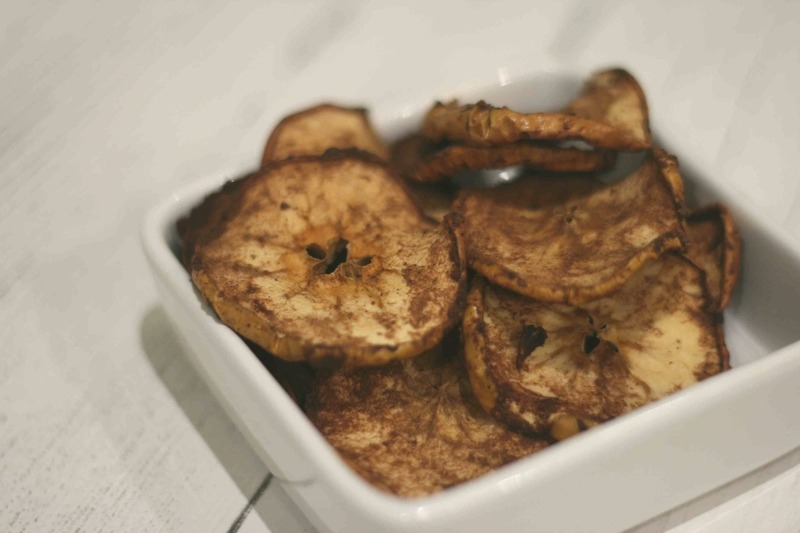 If it’s not soft enough, pop it in the microwave for a few seconds, just so it mixes easily. Mix everything together using your paddle attachment, (or a handheld whisk or wooden spoons) until it is a sandy consistency. 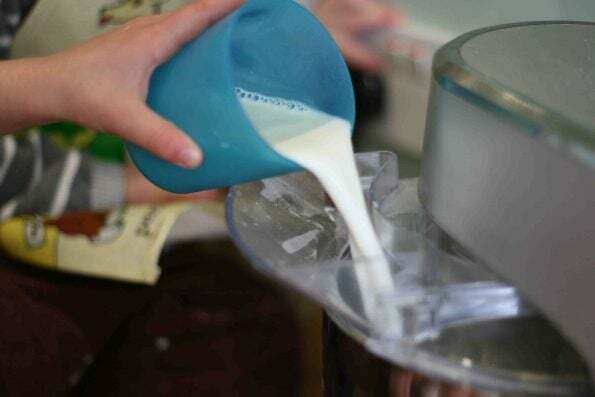 Measure the milk (120ml) into a cup or measuring jug. The best way to be accurate is to use the ‘ml’ setting on digital scales if you have them. 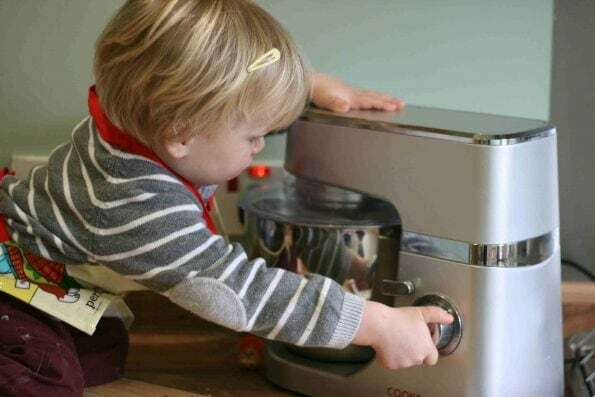 Get your little one to add half the milk to your flour mixture, and beat it together until it has just incorporated. Break the egg into a small dish. 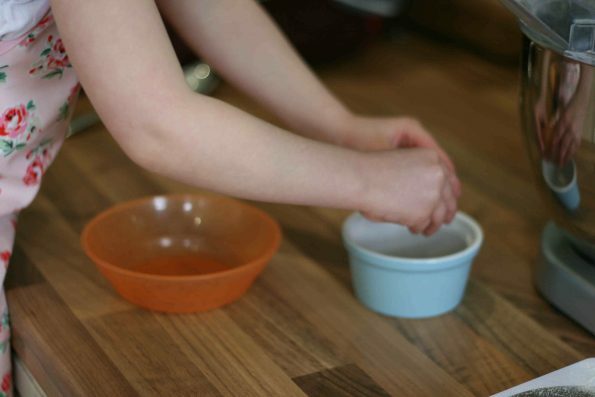 Doing it this way, is a good way to let your little one practice without worrying about the shell. Add it to the remaining milk. 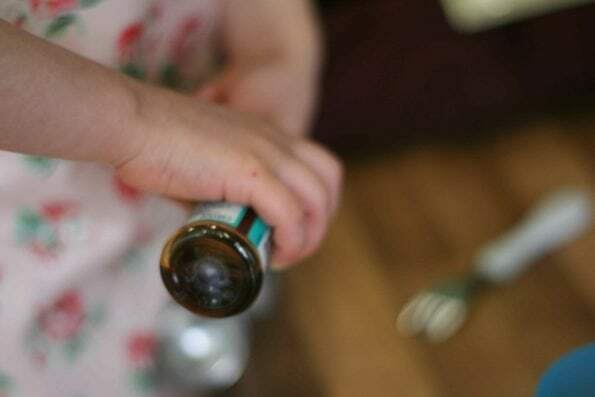 Get your little one to add the vanilla extract (¼ tsp)to the milk and give it all a little whisk. Pour into the flour mixture and give it all a good mix until everything it is well mixed into a nice, smooth batter. 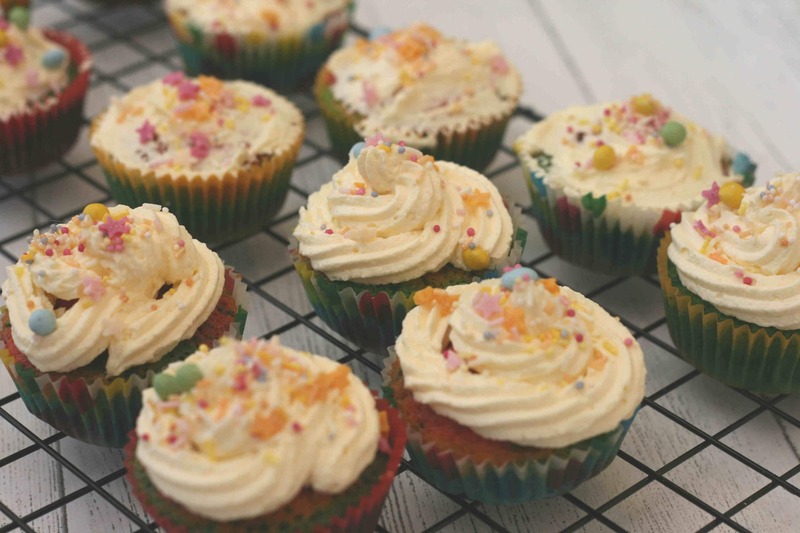 To make the rainbow cupcakes, divide the batter mixer into 6 small bowls (or however many colours you are using). 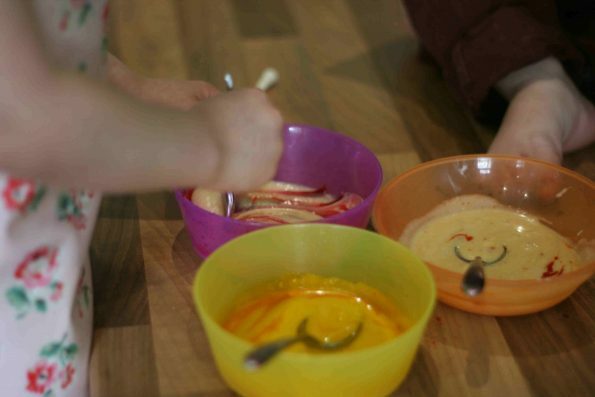 Add a few drops of colour to each bowl and give it a mix until the colour has incorporated. 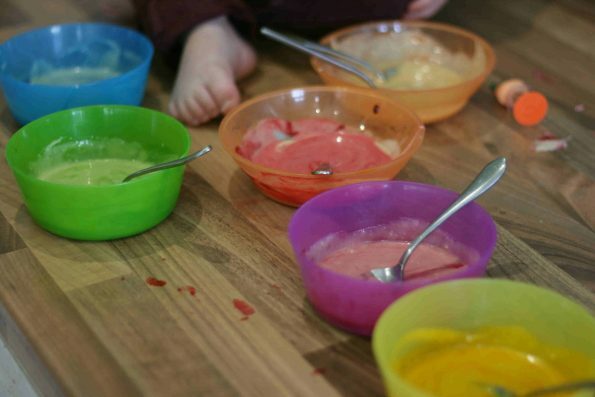 Get your little ones to spoon a dollop of each colour into each paper case. 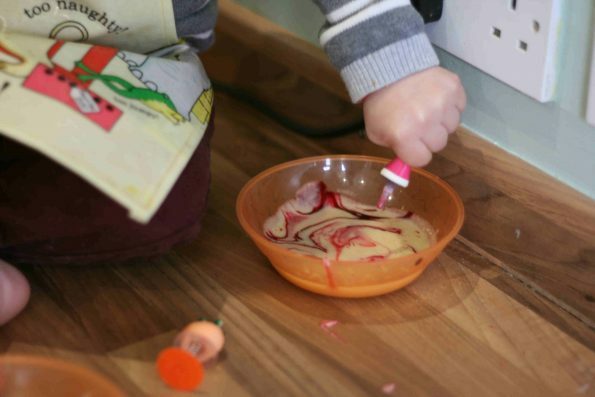 Don’t worry too much about how even the colours all are – Hannah and Lewis just had fun make a colourful mess! 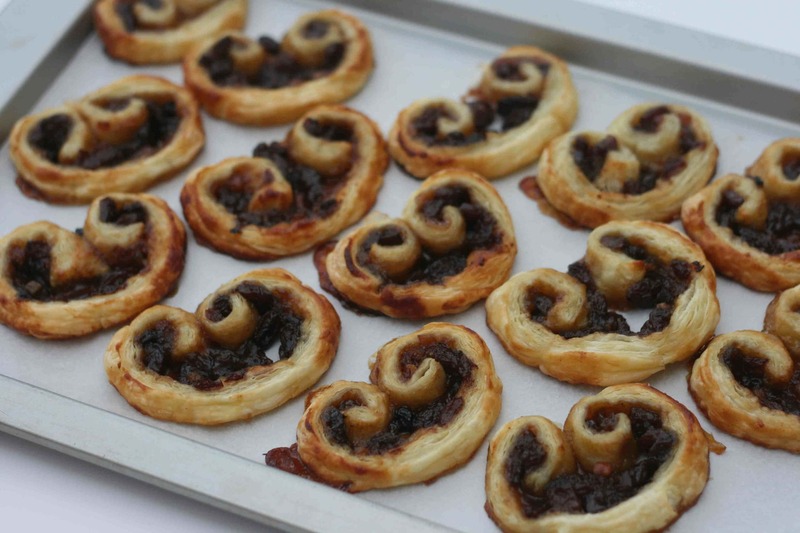 Give the edges of your baking tray a little wipe before you put them in the oven if there is a lot of batter mess. 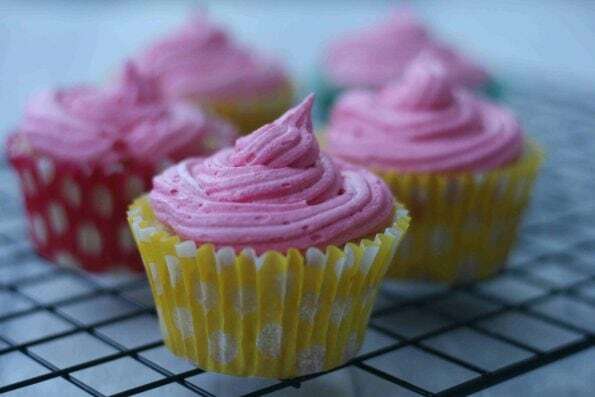 Pop the cupcakes in the oven for 20-25 minutes. 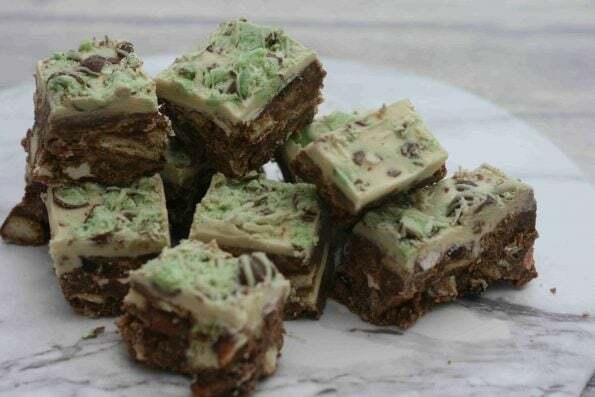 Keep an eye on them so they don’t go too brown on top. They ready when the sponge bounces back when you touch it or if a metal skewer inserted into the middle comes out clean. 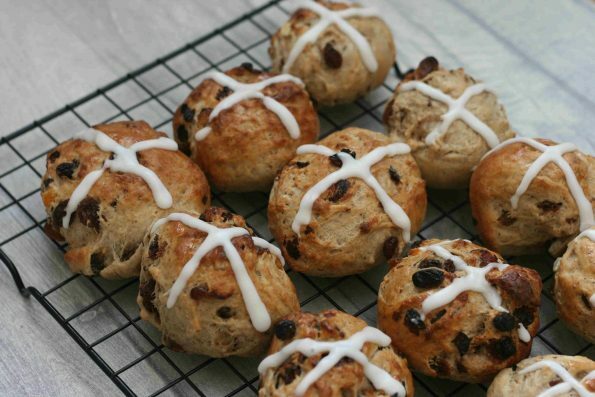 Remove from the oven, leave them to cool slightly in the baking tray then turn them out on to a wire rack to cool completely. 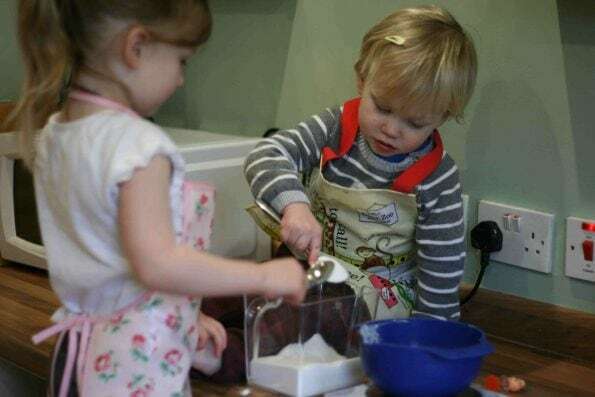 Get your toddler to measure the icing sugar (250g) out into a small bowl. Add it carefully to your mixer. 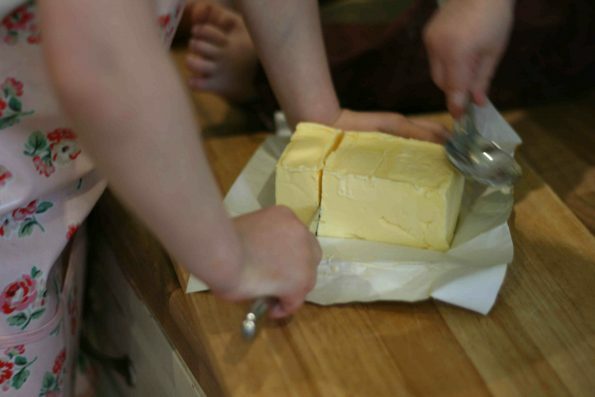 Measure the butter (80g), soften it if you need to for a few seconds in the microwave. Add it to your mixer. 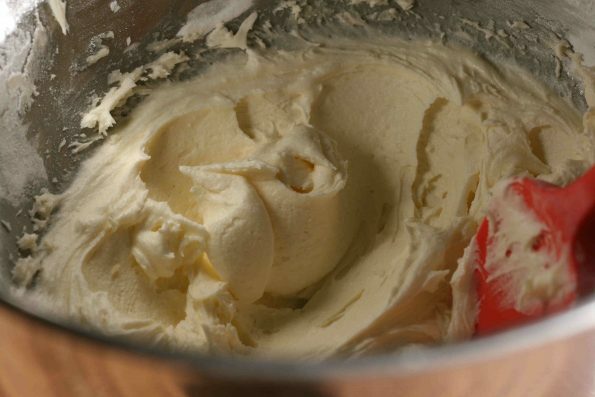 Mix everything together slowly at first and then on a medium setting until the butter and sugar come together. 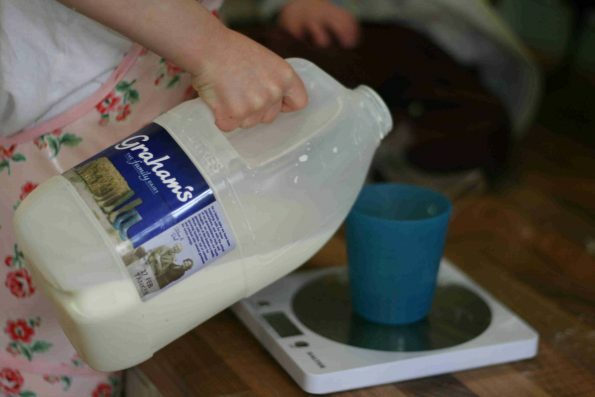 While it’s mixing, get your little one to measure the milk (25ml) out into a cup or measuring jug. Add a few drops of vanilla extract. Slowly add the milk to your icing mixture, stirring it all the time. Once the milk has been incorporated turn the speed up to a high speed and mix it for a few minutes. The longer you beat it, the lighter and fluffier the icing becomes. 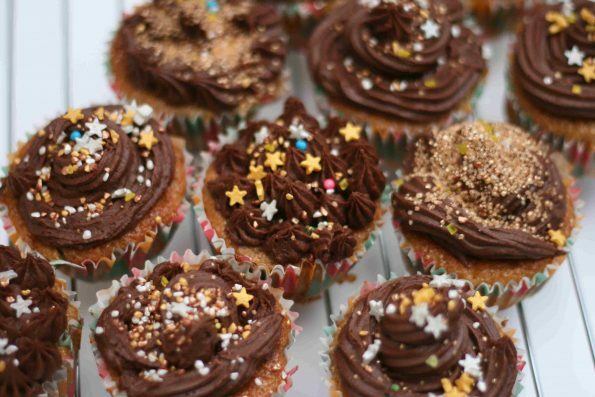 Spread it on to your cupcakes with a spoon or palette knife or piping bag. 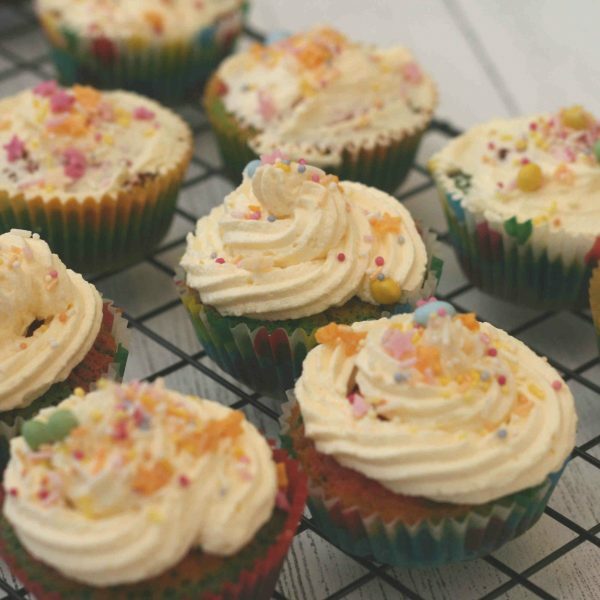 Get your little ones to add some sprinkles on top of your rainbow cupcakes for a nice finishing touch. 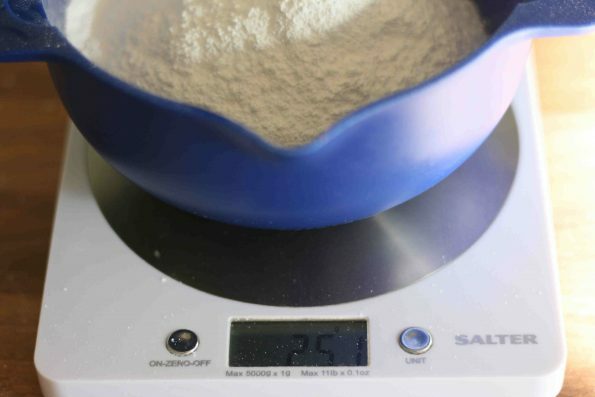 Measure the flour, baking powder, salt, and butter into a large mixing bowl or freestanding mixer. Measure the milk into a jug and then add half to your bowl. Beat it together until it has just incorporated. 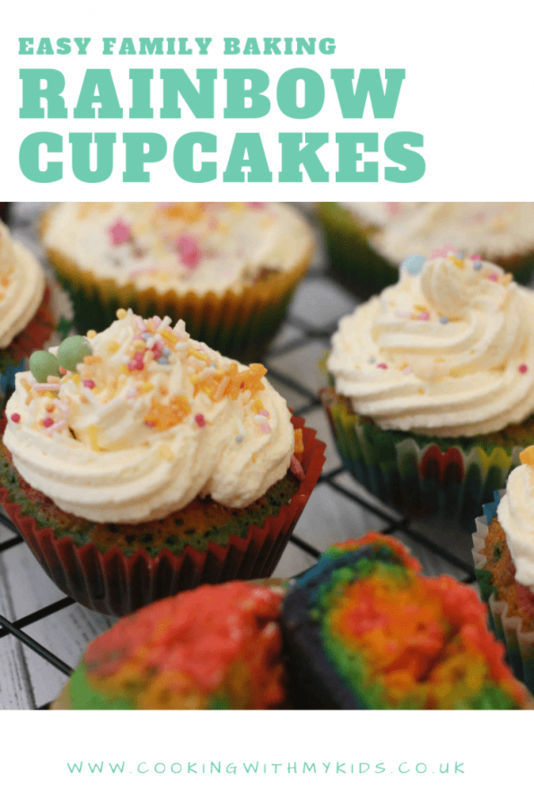 To make the rainbow cupcakes, divide the batter mixer into 6 small bowls (or however many colours you are using). 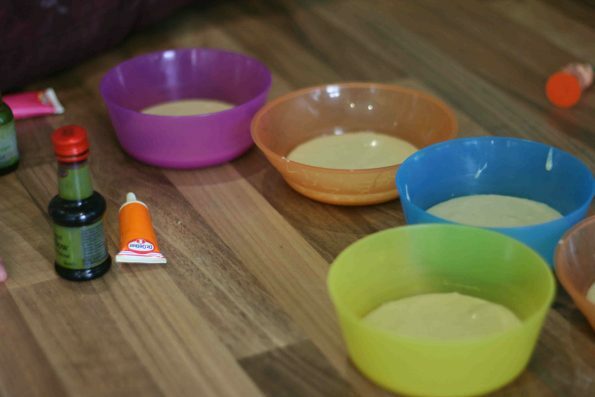 Add a few drops of colour to each bowl and give it a mix until the colour is well mixed. Spoon a dollop of each colour into each paper case. Measure the icing sugar out into a small bowl. Add it carefully to your mixer. Add the softened butter. While it’s mixing, add the milk and a few drops of vanilla extract. 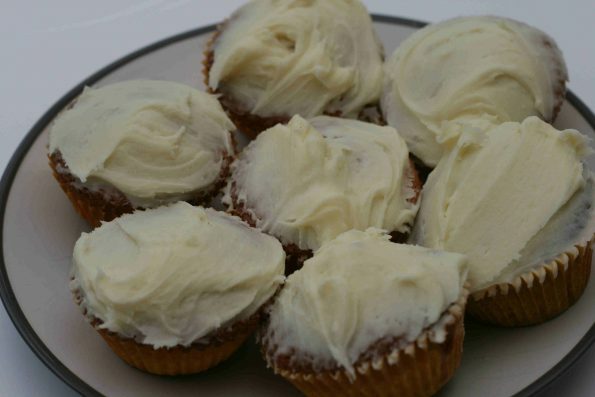 Spread it on to your cupcakes with a spoon or palette knife. Add sprinkles on top to finish them.